The President of PECDAR, Dr. Mohammad Shtayyeh, said on Sunday Feb. 10th that Palestine will run the commission on social development of G77 and China in the UN Headquarters. 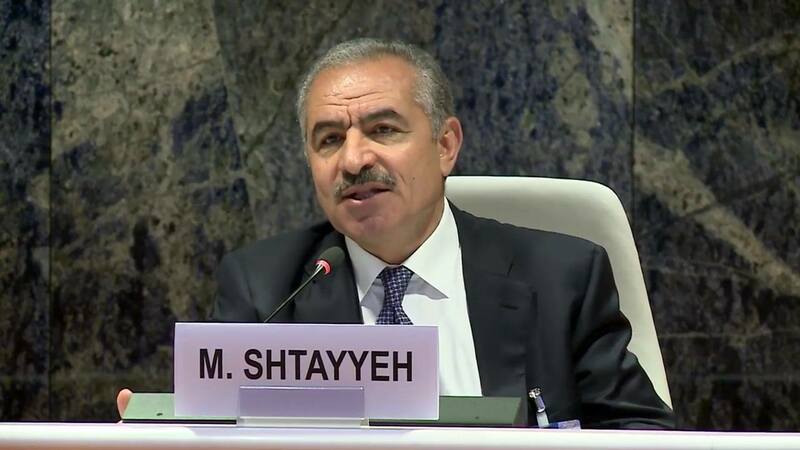 Shtayyeh; who’s attending the meeting as the President Abbas’ representative, explained that a ministerial committee meeting is held over two days in member states to talk about ways to reinforce cooperation between member states in areas of Social and Economic development. Shtayyeh assured that Palestine will work on implementing the initiatives aimed at achieving the objectives of the 2030 Development Plan, along with the reinforcement of the solidarity development between Member States and the International Society. The meeting focuses on economic and social inclusion, bridging the gap, and inequality between the states and within them. The Palestinian President, Mahmoud Abbas, assumed the presidency of the group on January 15th, 2019. Group of 77 and China is considered the largest negotiating forum on behalf of developing countries within the UN. The group aims at reinforcing economic and development interests for 134 countries (states).